AMUL is all set to storm the Ice cream market with a new range of probiotic ice cream aimed at the total health conscious. Amul has launched India’s first Probiotic Wellness Icecreams. really great thinking by Amul.Their ultimate aim is to target more consumer and expand their scope. “For diabetics, consuming ice-cream had remained a dream. Amul is all set to change that with the launch of India’s first specially created SUGAR FREE low fat diabetic delight. 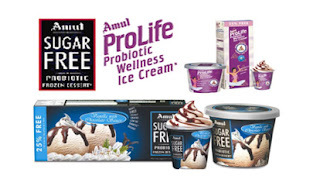 In Amul Sugarfree Probiotic diabetic delight Frozen Dessert, Sugar has been replaced with ZERO calorie and low calorie sweeteners. In diabetic condition it is advisable to consume less fat, less calorie to maintain proper metabolism. 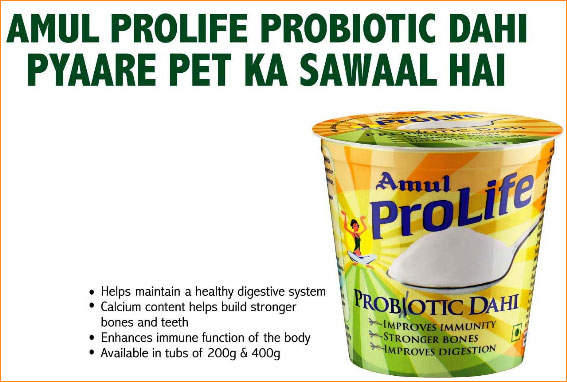 Amul SUGAR FREE probiotic diabetic delight contains 50% less fat and half of the calorie than normal ice cream. Further, it has been supplemented with pro-biotic cultures for health improvement. India has 37 million diabetic patients and around 400 million overweight. That is a huge market for healthy foods. With the media and doctors in an overdrive to educate Indians on the efficacy of healthy foods, the market is expected to grow multifold. With the launch of healthy ice creams, Amul is all set to ride the healthy foods wave.